Plumbers Churchtown are available 24/7-365 days a year for all your emergencies and general works, our local team can be out to you in under an hour for all of your unforeseen plumbing problems. Our Chuchtown plumbers can help with all types of plumbing and heating jobs, large and small, including. All leaks located and repaired. Gas & oil boiler replacement, servicing and repair. Complete kitchen and bathroom installations and refurbishments including the plumbing of sinks, bidets, showers, baths /Toilets. 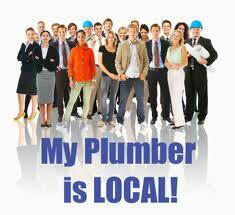 We offer 24 a hour emergency Churchtown plumber service. Kitchen and bathroom tiling services. All work with natural gas including gas fires, hobs, ovens and pipework. All standard pipe work repairing and replacement, thawing and sewer line repairs. We know that is can be difficult to find a good reliable plumber, customers can be rest assured that our staff offer the highest quality of service. We guarantee all the work that we carry out, this comes under and we have full indemnity insurance, this provides you with total peace of mind and at a fraction of the cost of some of our competitors. Fair prices and no hidden charges at plumbers Churchtown. At Plumbers Churchtown our prices are extremely competitive and all of our charges are completely transparent, this is so you know exactly what the service will cost you and there are no hidden costs. Remember for our staff no plumbing job is too small or too large for us. All of our team are R.G.I. registered, we do not charge for call outs, we are happy to offer free advice and give you a free no obligation quote. Call 01-6874850 today to speak to one of our senior plumbers in Churchtown. When you need a help quickly and efficiently just pick up the phone.